US Computers, Inc. has been providing a number of services to its valuable clients over the past 15 years and has been acknowledged by many satisfied customers. We try our level best to enhance our support system continuously in order to meet the requirements of our valued customers. We specialize in customizing computers for our clients according to their needs. Our qualified technical staff has provided a wide range of products to our clients depending on their requirements of processors, memory, display, hard drives, software etc. 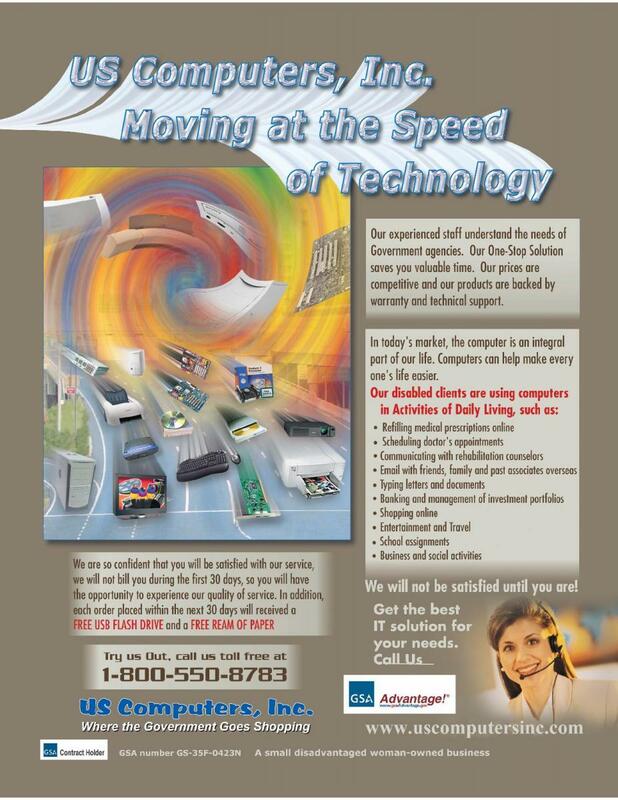 Next to the variety of products we provide, US Computers Inc. is also relied on for the different services we offer. We make sure that our client is satisfied so we support our products with technical support and make the transition to the new product for our customers easy. US Computers Inc.'s technical staff has been providing installation of the products and onsite training also where required in order for our clients to learn how to run a particular hardware or software efficiently. Our products are supported by one year manufacturer's warranty and optional 2 years extended warranty services. 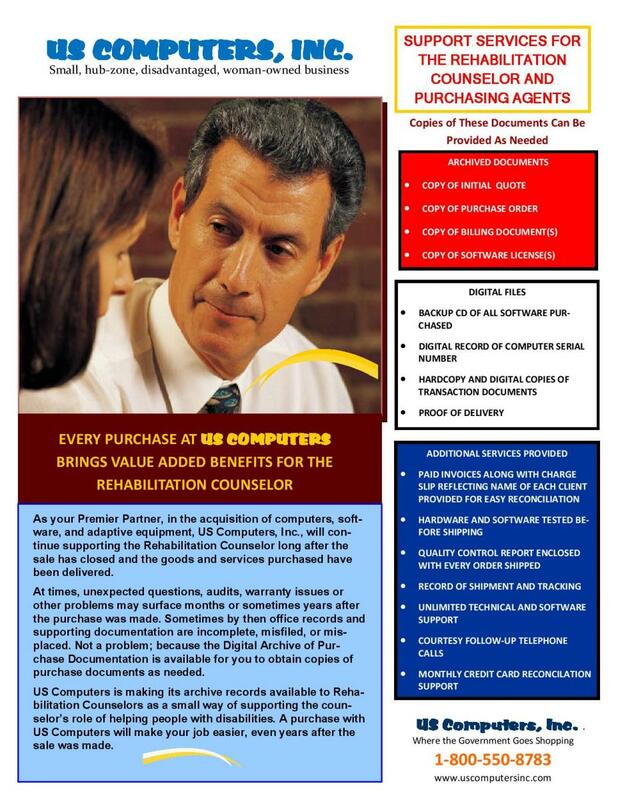 If clients wish, they can also buy warranty from us for the products they have not purchased from US Computers Inc. US Computers is a GSA and a CMAS Contract holder. For the last 15 years we have been providing customized solutions to State and Federal Agencies to help in solving the Information Technology and Assistive Technology needs nationwide.